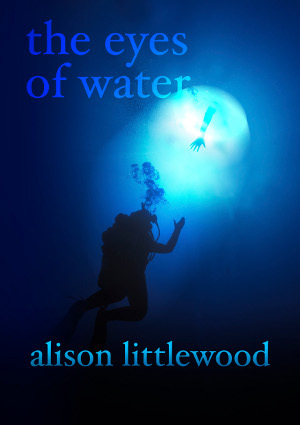 First up is regular reader Riju Ganguly’s assessment of Alison Littlewood’s The Eyes of Water, posted to his Goodreads account – you can find that one here. Secondly, here comes a combined review from the good folks of Shock Totem Magazine of The Eyes of Water and Simon Kurt Unworth’s Rough Music, written by John Boden. You can read his thoughts here. Don’t forget to order your subscription to this series of critically-acclaimed chapbooks – they often sell out well before publication and a subscription is the only way to make sure you get your copy (Paypal buttons down the right-hand side of this blog for your convenience). At the same time, why not also order a copy of the second Spectral Visions novella, John L. Probert’s The Nine Deaths of Dr. Valentine – to order, there’s a separate page (listed next to ‘HOME’ in the menu bar above), which gives you all the pertinent details. There aren’t that many left, so if you don’t want to be disappointed, order today! Going to read these! Can’t wait!